These qualifiers call for some parsing. First, the six months of the presumption is an aggregate figure. It’s not six months in a row. If you spend a total of more than 183 days in California during any calendar year in any order whatsoever, you don’t get the presumption. The six-month presumption is really a 183-day presumption. Second, you have to be a domiciliary of another state and have a permanent home there (owned or rented). Domicile differs from residency as a legal concept. For residency law purposes, domicile is defined by case law and the regulations as “where an individual has his true, fixed, permanent home and principal establishment, and to which place he has, whenever he is absent, the intention of returning.” A significant body of case law has grown up around determining domicile. But for simplistic practical purposes, it’s where you are registered to vote, perform jury duty and have a driver’s license. If you aren’t a domiciliary of another state (that is, you don’t treat it as your permanent home even while away from it) and if you don’t have an abode there, you don’t get the six-month presumption. Period. It doesn’t matter if you only spend six days, rather than six months, in California. Third, to get the presumption you must have only the kinds of limited contacts a tourist or visitor might have. The regulations envision this as restricted to owning a vacation home, having a local bank account, and joining a country club. Needless to say, the regulations are somewhat passé. Nobody needs a local bank account anymore due to interstate banking. And a country club is not something most out-of-state millennials with software companies seem keen on joining. But the point is, if a taxpayer has any other contacts (investment property, a foreign LLC registered with the Secretary of State, temporary employment, even a car registered here), the presumption evaporates. Finally, the presumption is rebuttable. This means even if you meet all the requirements, the FTB retains the right to offer evidence proving you are a California resident. The evidence may consist in showing any facts or circumstances that indicate your stay in California is not temporary or transitory. Essentially, anything goes. As the above suggests, it isn’t easy getting the presumption. And even if you do, the FTB can attempt to rebut it. And beyond that, the benefit of the presumption is further eroded by a special rule the FTB almost always invokes: namely, the determinations of taxing authorities are presumptively correct. In short, if an FTB auditor concludes a taxpayer is a resident, the taxpayer bears the burden of proving otherwise on appeal, even if he qualified for the six-month presumption. This conflict between presumptions has never been reconciled by case law. As a practical matter, however, the FTB not surprisingly usually insists on the presumption of correctness. “The FTB’s tax assessments are presumptively correct” is usually the first sentence in the argument of the FTB’s brief in response to a taxpayer’s residency appeal. With this in mind, a nonresident might wonder whether the six-month presumption is worth anything. The answer: yes and no. The real rule is not how much time you spend in California but why you spend the time here. If you are a domiciliary of another state, and if you come to California for a temporary or transitory purpose, it doesn’t matter how much time you spend here – you are not a California resident as a matter of law. The example I like to give: a rock star from Seattle who rents a beach house in Malibu for the sole purpose of partying for a whole year straight, is not a legal resident of California. In contrast, if that rock star moves to Malibu permanently to be part of the LA music scene and immediately goes on a world tour, he’s a California resident even if he spent only one day at the mansion. The purpose of the time spent in California is determinative, not the amount of time. Now of course, quantity has a quality all its own. If you spend a great deal of time in California (say, more than half a year), the FTB might legitimately argue that your stay here isn’t temporary, any claims about intent notwithstanding. For residency purposes, it’s not what a taxpayer says he intends, it’s what his actions show he intends, that determine whether the purpose of a stay in California is temporary or not. Most of us aren’t singers in a rock ‘n’ roll band. Where we spend most of the year is usually a pretty good indicator of our state of residence. In fact, there is a rebuttable nine-month presumption against taxpayers spending time in California, but I won’t get into that here – like the six-month presumption, it rarely plays a determinative role in legal residency cases. Furthermore, FTB auditors seem as enamored with the six-month figure as the internet is. If a nonresident spends less than six months in California, it will likely show up in the auditor’s report, if only in an attempt to rebut a presumption that probably doesn’t apply in the first place. 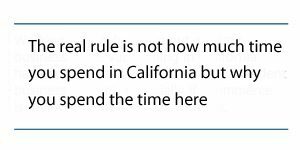 However – and this is critical – note that what ultimately counts is not whether you spend less than the majority of your time in California, but whether you spend more time in your home state than in California, however long that time is. It’s not California vs the world, but California vs your home state. The difference is crucial, and it is a common mistake of residency tax planning. Thus, if a nonresident’s time profile is five months in California, four months in his home state, and the balance of the year traveling elsewhere, the FTB will use this as an argument for residency. The concept is, the place where you spend most of your time (not necessarily the majority of the year) is more likely to be your home than not. It’s a plurality rule, not a majority rule. Like almost all California residency rules, it’s not dispositive, but to ignore it in making residency plans gives the FTB ammunition in audit. There is nothing magical about six calendar months in residency law. 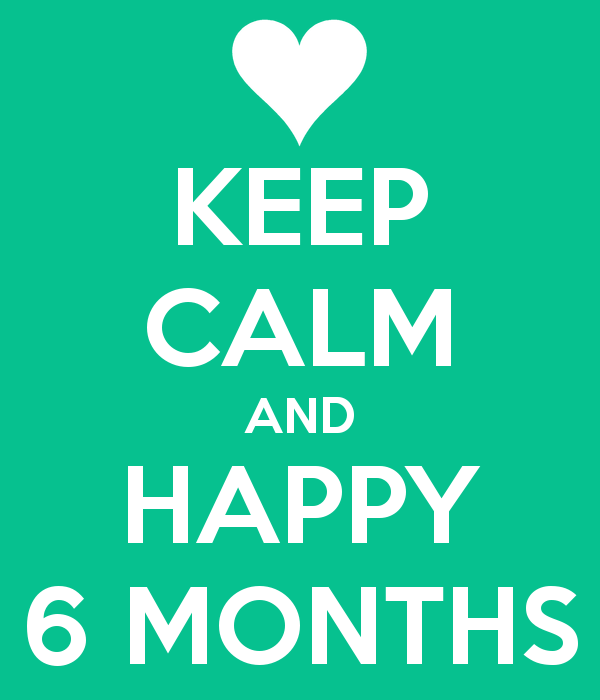 In fact, very few taxpayers ever qualify for the six-month presumption due to its many legal requirements. Worse, the six-month figure can lead taxpayers into a false sense of security (and an audit), since the purpose of a stay in California has more weight in determining legal residency than any particular number of months spent here. That said, regardless of the legalities of the presumption, it makes sense for snowbirds, vacationers, temporary workers, and other nonresidents who visit California, to limit their time here as much as possible. Especially at the audit level (where there are no lawyers on the FTB side), the six-month figure looms large. But don’t let the six-month tail wag the residency dog. The real issue nonresidents face is to make sure a stay in California not only looks like it’s for temporary purposes, but in fact is for temporary purposes, as a matter of law. Manes Law is the premier law firm in California residency tax planning, consultations, audits and appeals. We have over two decades of success assisting Californians who want to change their legal residency, businesses moving their situs to other states, and nonresidents purchasing vacation homes or investment property in California. Learn more at our website: www.calresidencytaxattorney.com.